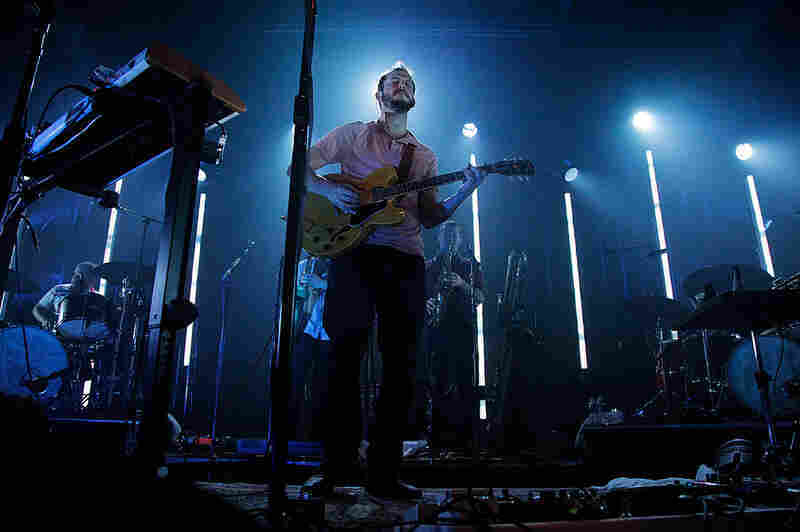 Bon Iver In Concert Hear the band's full performance from Washington, D.C.'s 9:30 Club. 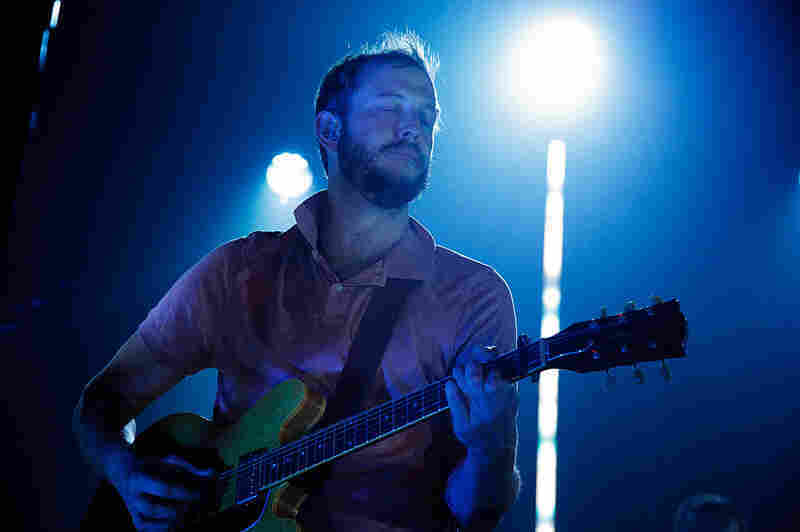 Bon Iver plays explosive and fleshed-out arrangements from For Emma, Forever Ago and Bon Iver, with a few surprises thrown in. 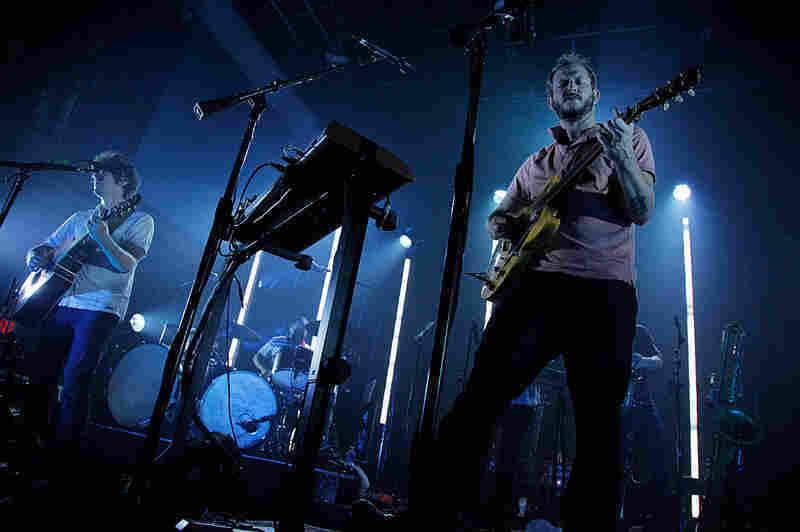 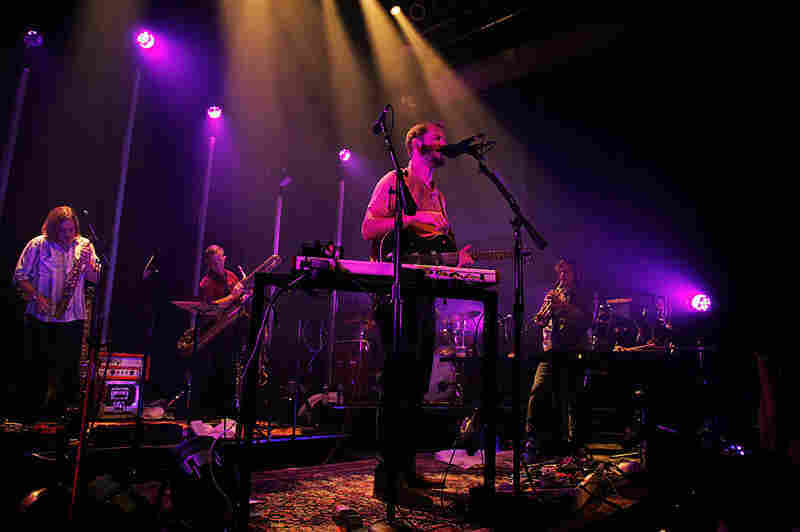 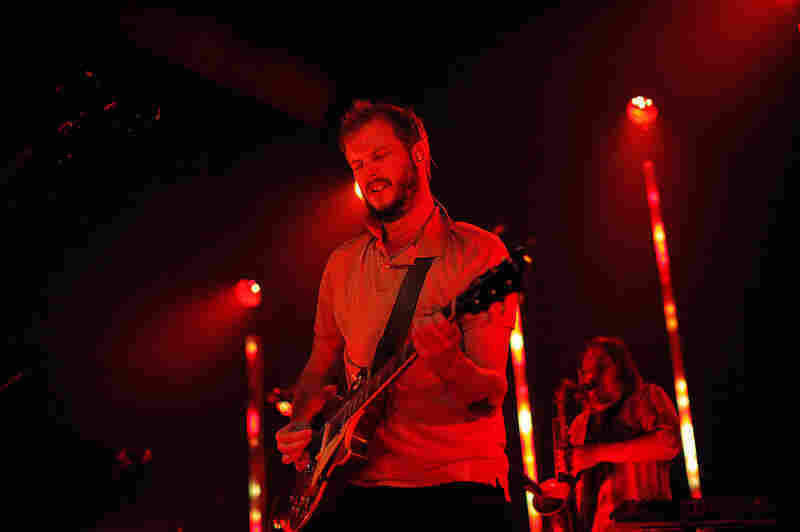 Bon Iver performs at Washington, D.C.'s 9:30 Club on Aug. 2. 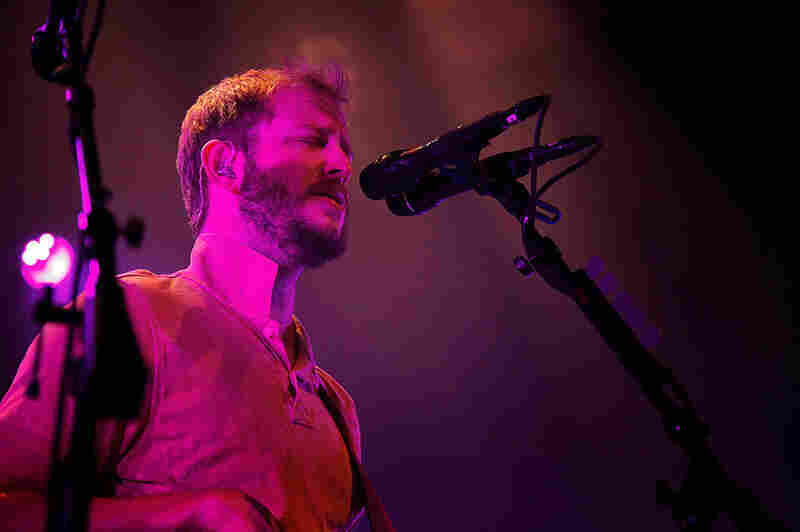 The love for Justin Vernon and Bon Iver at Washington, D.C.'s 9:30 Club was so overwhelming for this performance, it seemed fans might storm the stage and eat the humble frontman alive. 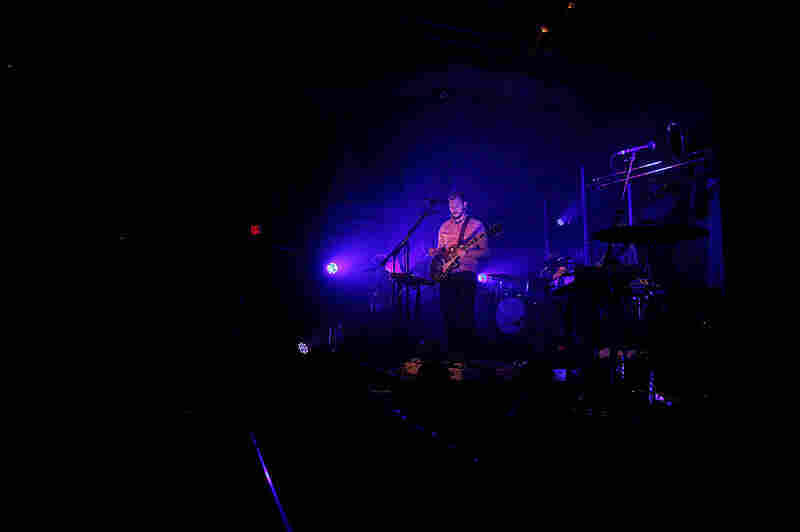 The stage was set with just the essentials, bathed in thin columns of warmly colored lights. 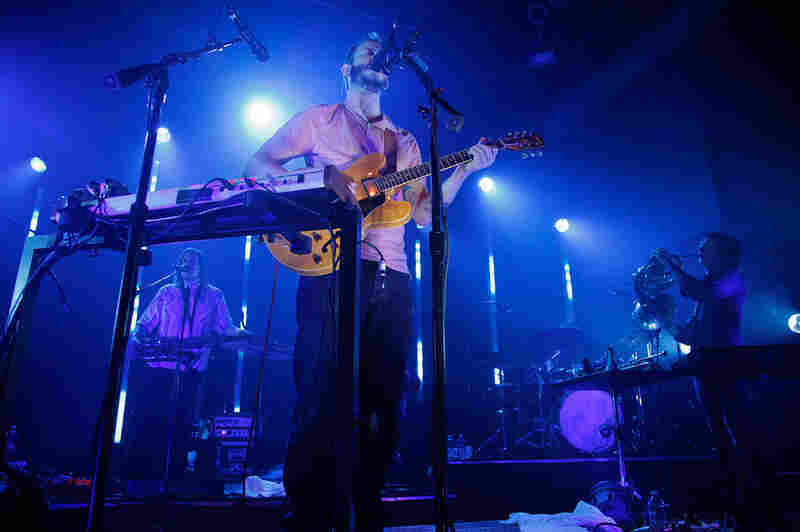 It was just enough to reveal the faces of a thousand or so glassy-eyed fans who mouthed the words to every song and swayed in a state of pure bliss. 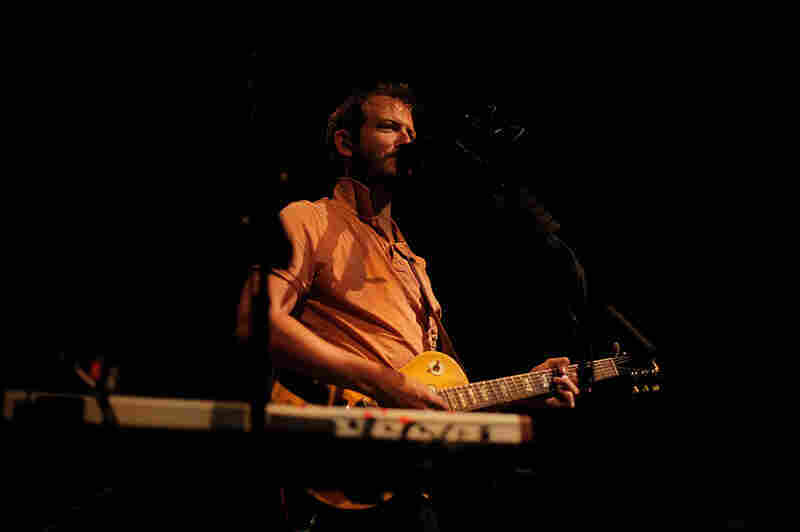 For the second of two sold-out performances at the 9:30 Club, recorded August 2, Bon Iver ran through new material from its latest album, Bon Iver, as well as favorites from 2008's For Emma, Forever Ago — and threw in a few surprises, including Dark Was the Night's "Brackett, WI" and a cover of Bjork's "Who Is It." 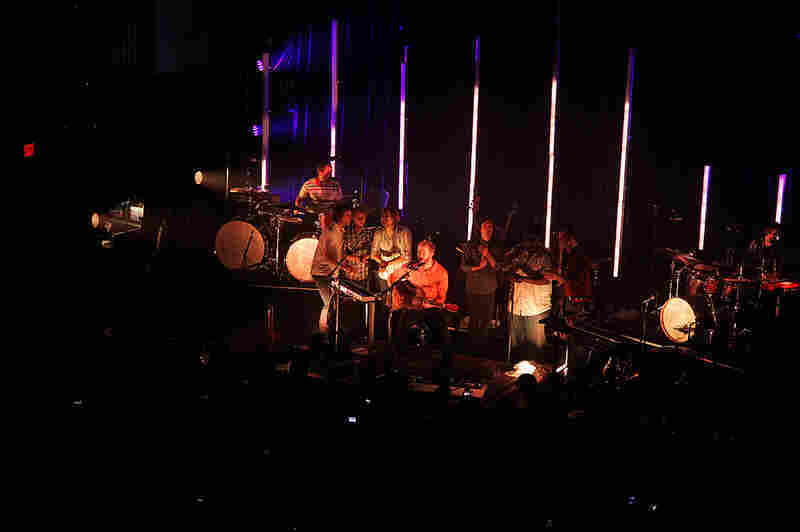 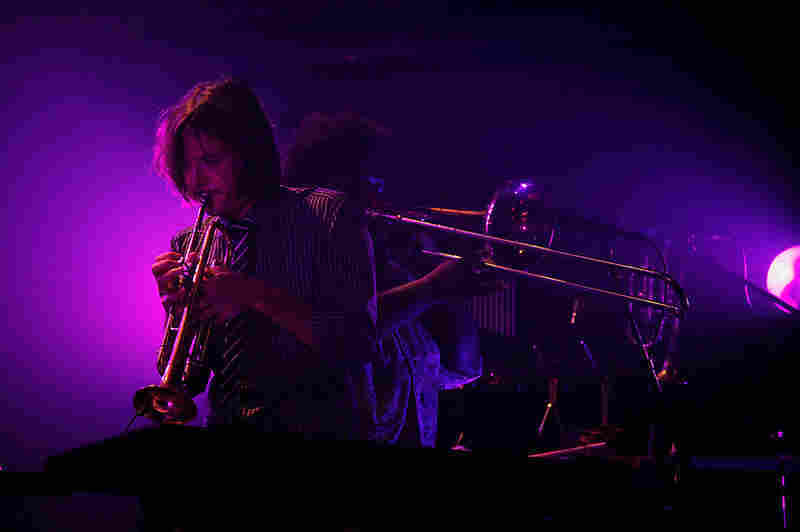 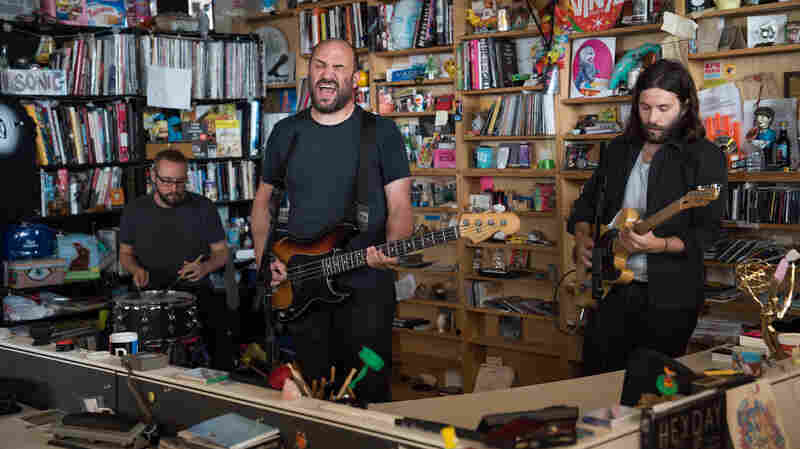 The songs from For Emma grew 10 sizes with the nine-member band Vernon assembled for this tour, which includes two drummers and a horn section highlighted by bass saxophonist Colin Stetson. 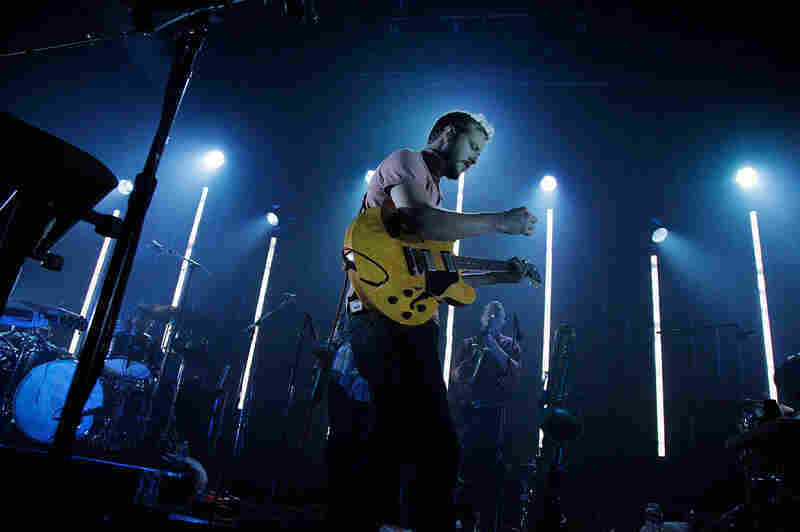 Vernon rarely strapped on his acoustic guitar, but did so for a goosebump-inducing version of "Flume," while "Creature Fear" exploded into a chaotic jam under a swarm of disorienting strobe lights. 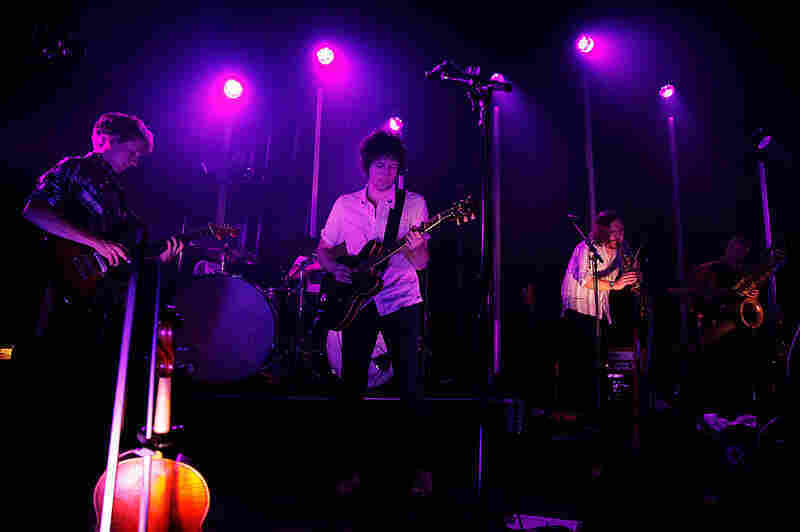 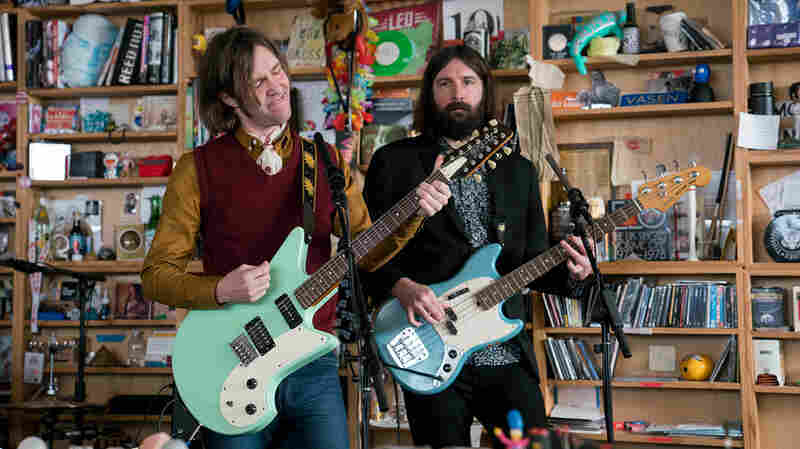 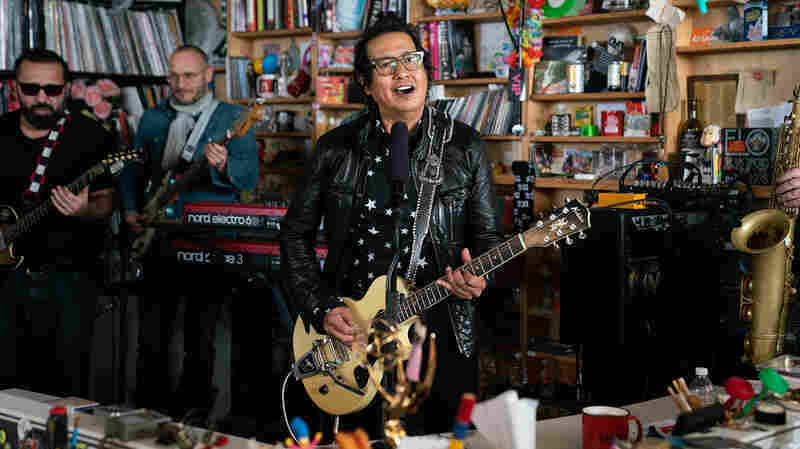 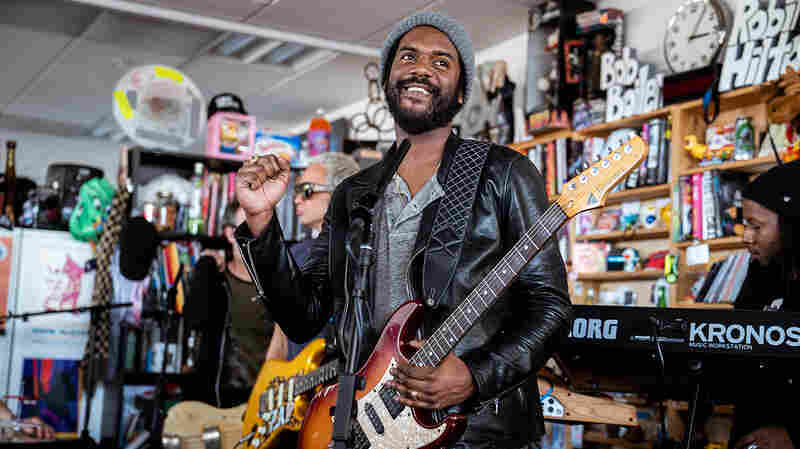 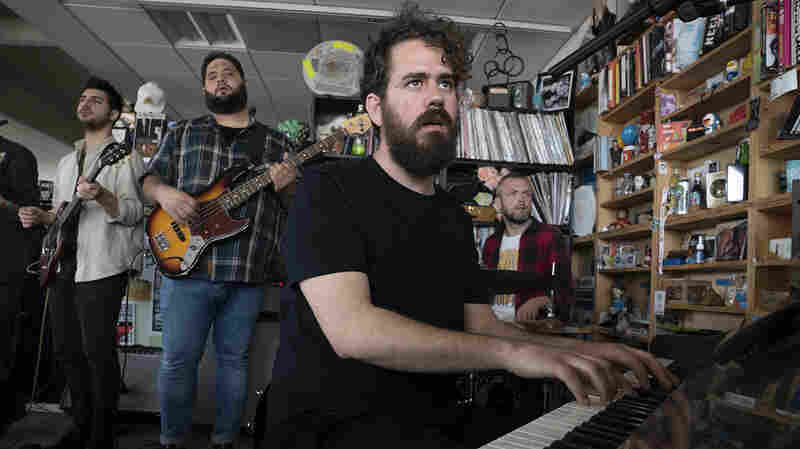 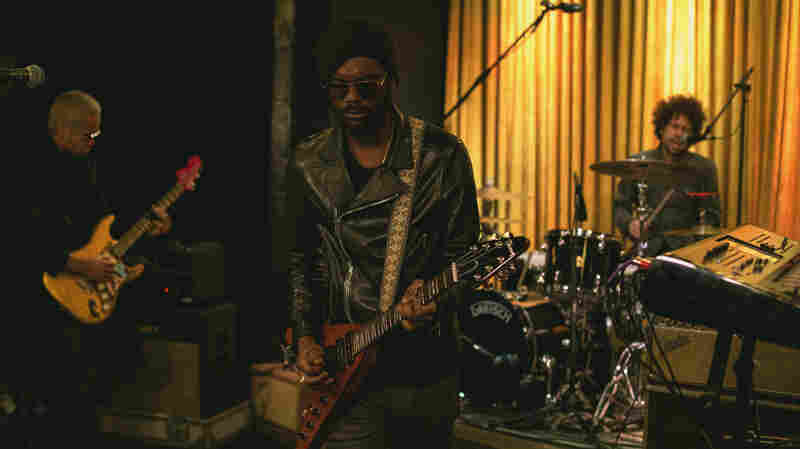 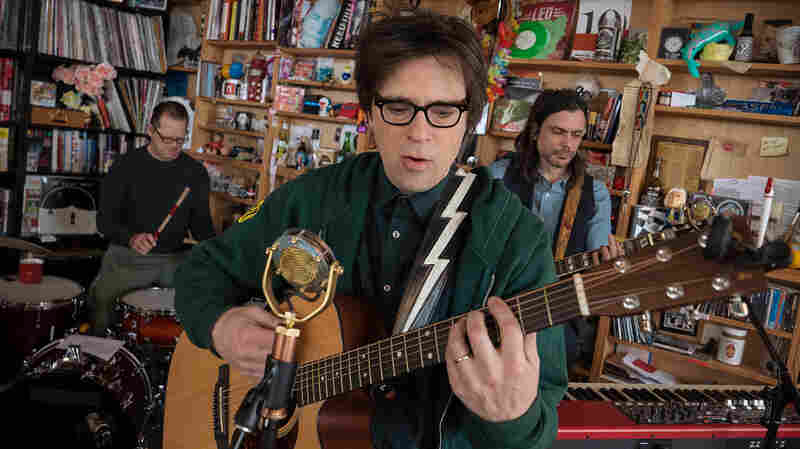 By the time the band broke into "Blood Bank," from the 2009 EP of the same name, the audience could barely contain itself as fans jumped together and pumped their fists. 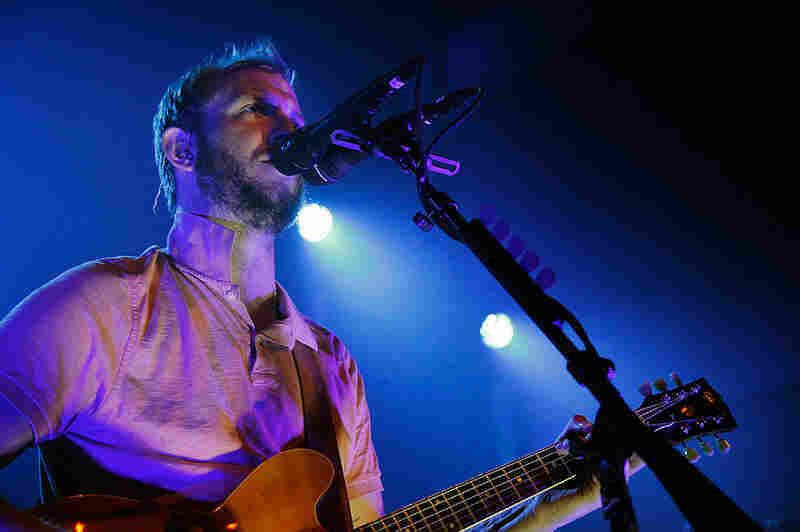 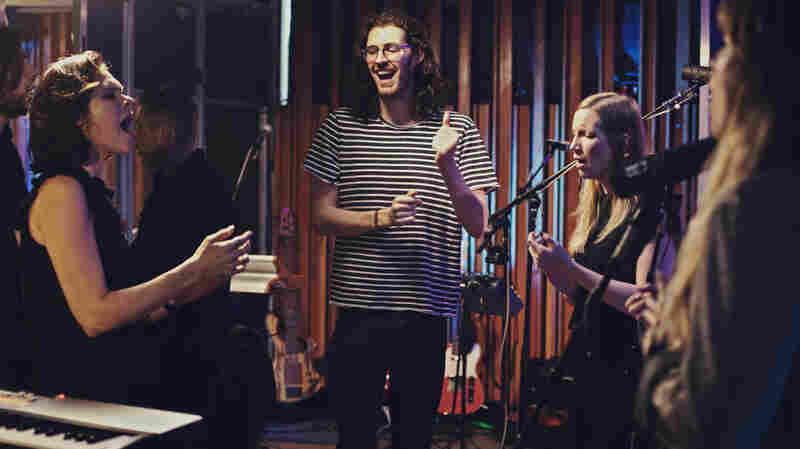 By the end — a stormy sing-along in "Wolves (Act I and II)," an encore in which "Skinny Love" gave way to the lush "Beth/Rest" — Bon Iver had given one of the most intense and transfixing performances we've ever recorded at NPR Music.